My previous post showed the issues Tom Clancy’s The division is facing when it comes to balancing the power differences between characters on various levels. Ubisoft then came up with a plan to counter all these issues and make the game more realistic with their 1.4 update. So here are the list of changes under development with respect to the issues faced. 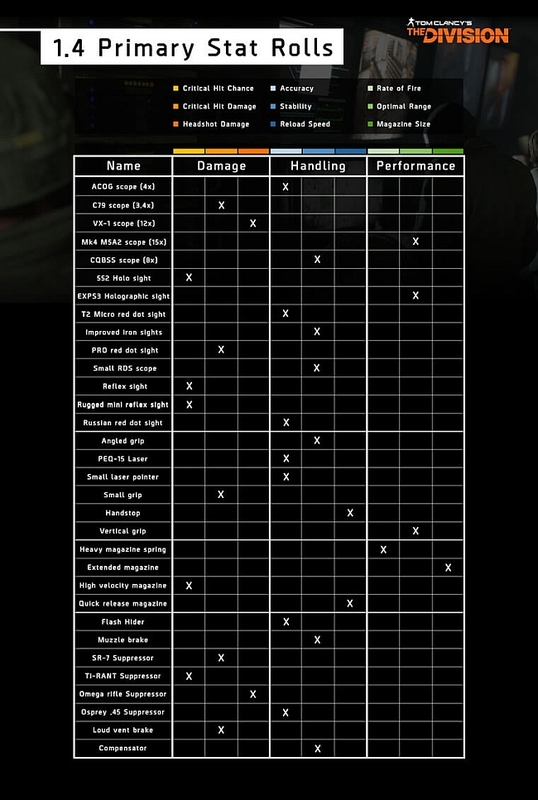 Stats – Every level up done between levels 1-30 will increase the three main stats, firearms, stamina and electronics. Hence till level 30, the players have to level up to increase their stats. Since the world tiers will be introduced in the 1.4 update, the same experience has to be reproduced for the other world tiers of 2, 3 and 4. So the update will bring all the three main stats to every piece of gear dropped in the world tier 2. Although one stat will be higher than the other two, they can always be re-calibrated to suit the needs. This will enable the players to create a balanced build for their character making it easier for them to survive in the game, instead of making it harder. Also all players including the enemies will have their critical hits chance and headshot chance re-scaled to a lower figure. The most important thing though with respect to the skill bonuses, is that they will not be present at default when a particular gear is picked up. This will stop complaints where, the gears come with skills that aren’t required for the players at the moment. The update will allow the players to choose their skill bonuses for their gear. Separate worlds are created for players. Players will lesser gear optimizations can choose lower tiers where they will be put up with enemies that are almost on the same level of gear optimizations thereby making it more easy for the players. 163 corresponds to level 30, 182 to level 31, 204 to level 32 and 229 to level 33. The highest enemy level a player can face in the game will be 33. We can see from the tiers that a player has to have a gear optimization of 20 to reach the next level. Scavenging – This stat has been an issue for a long time. Players always switch their weapons while playing just to gain the advantage of scavenging. Hence this update will replace scavenging from the already equipped weapons with other stats. Weapon mods are a gamble. To make it more realistic, the update will require you to pick one stat over the others instead of maxing out all of the stats. An example can be if you need a weapon that creates the max damage, then you have to give up on accuracy and recoil. This would make more sense, instead of just leveling up all damage, handling and performance all at the same time every time a player upgrades his weapon. This was meant to bring a feel of a proper shooter game than an arcade feel. Also, damage bonuses like headshot damage, crit damage, armor damage etc, are becoming additive instead of multiplicative, which means that damage won’t spike as much as it does today. This will also mean that, you need to think critically about investing in your firearms when you need a significant damage output. But the more DPS(Damage per second), the more you will have to lose on the other stats. Till now armor’s strength will always increase as the player levels up his gear. Hence a player with a higher level will have a tanky character easily and it will be hard to kill them. But that isn’t realistic as armor’s endurance does not increase in real life with experience. They will remain the same for all. Hence they are bringing in this logic to the game. From now on after the update, the stamina trait will show your resistance against attacks. The armor is just going to be there to support your stamina trait. This point makes more sense, doesn’t it? These are some really big changes coming into the game for the 1.4 update. Guess this will be only update in the history of FPS games that will inject some common sense and logic into the gaming world. 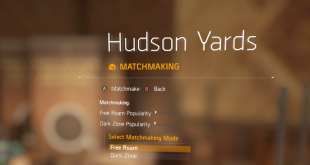 The players of the division have been complaining about these problems for far too long and it is high time Ubisoft addressed it.